I used to work at MoneySavingExpert, which was based just off Oxford Street in London. There was a small group of us who would participate in CTT (China Town Thursday), where we’d go to China Town in our lunch break on a Thursday and try a different restaurant each week. 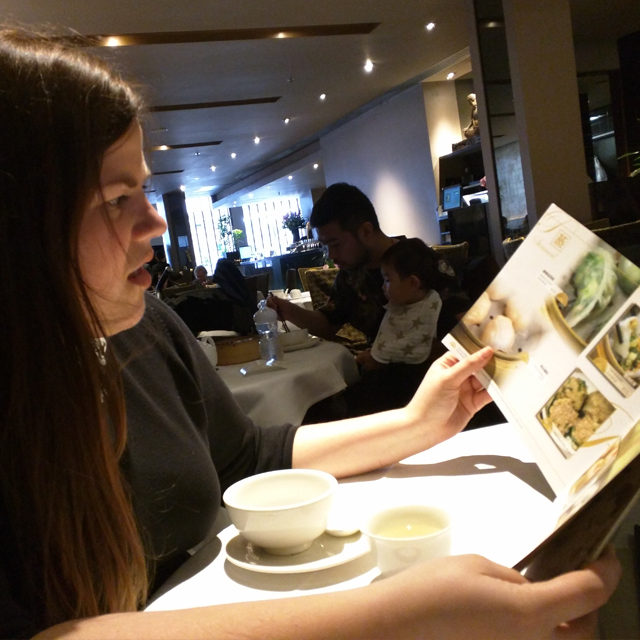 The plan was to find the best Chinese restaurant in London. This was not kind on my arse or my wallet. Anyway, it’s fair to say I LOVE Chinese food, especially dim sum. 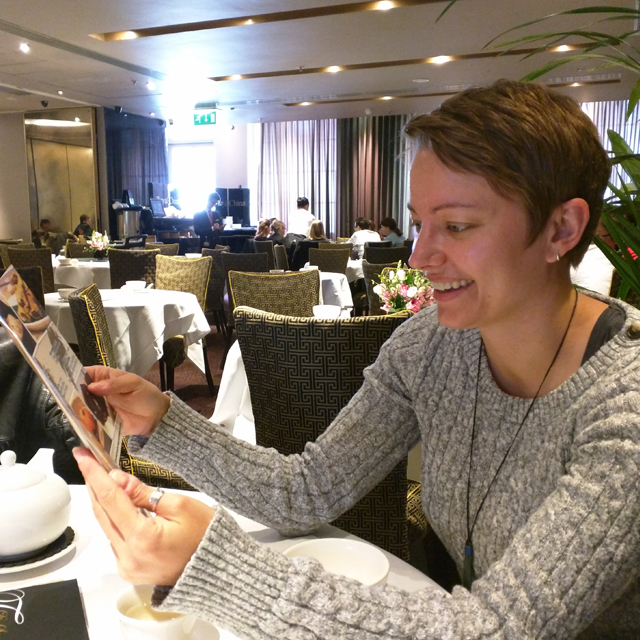 So when Royal China asked me to come and try out the dim sum, I was pretty much in my element, so invited my old CTT and ex-MoneySavingExpert colleague, Kate along, because she is incredibly serious about dim sum. So we met at 1:30 at Baker Street station absolutely starving, with the plan to eat as much as possible (because, you know… greedy!). 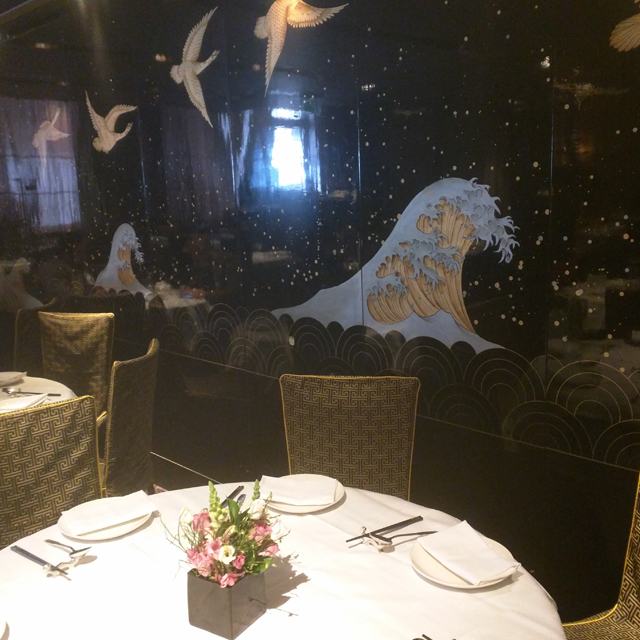 We made the mistake of accidentally going into the Royal China Club first, which is a few doors down from Royal China and is part of the same group. 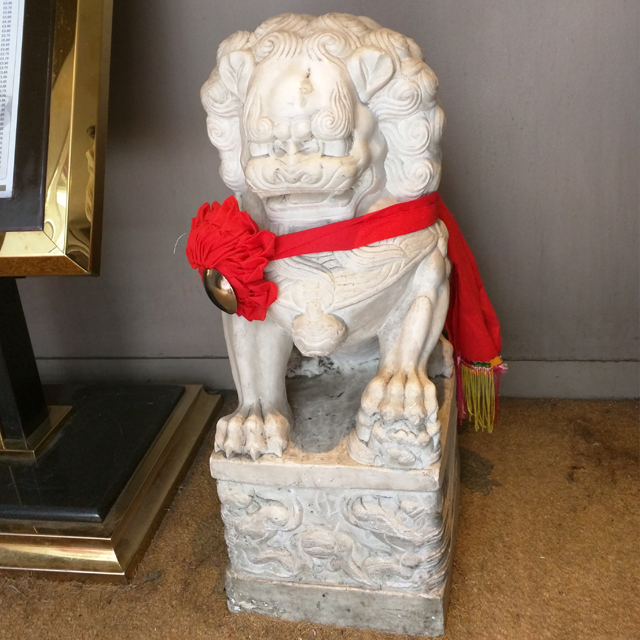 Royal China is fancy as it is and always incredibly popular (come on a Friday/Sat or on a weekend and you’ll have to queue to get in), but The Royal China Club is another story. It’s packed full of celebs and soup that cost £300 – so of course slinked away (the plebs we are!) and went to the cheaper sister restaurant down the road – Royal China. Inside is SO fancy compared to your average Chinese restaurant, but not pretentious in the slightest. You don’t have to dress up or anything. The tables have fresh flowers and the service is absolutely incredible. 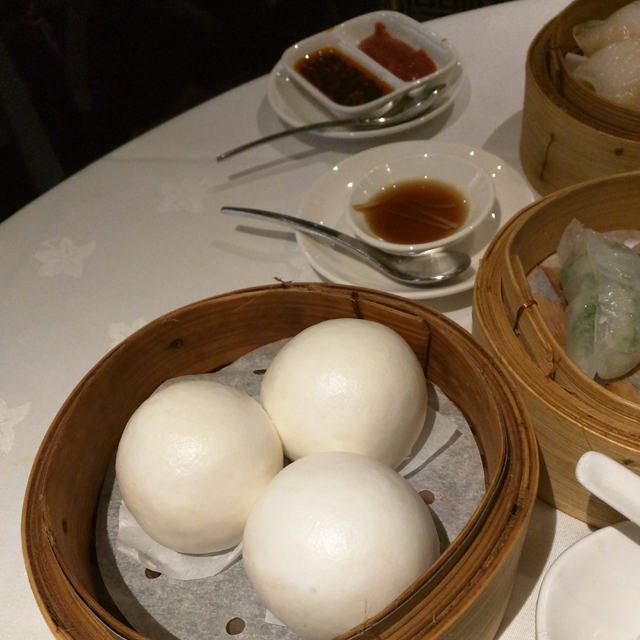 1 What is Dim Sum? 3 Is it good value for money? 4 A bit off topic, but when did everyone start using chopsticks? 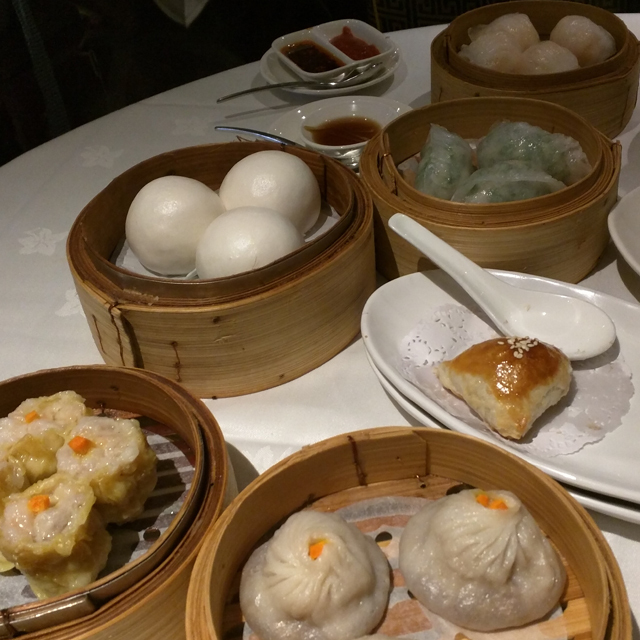 I had never heard of dim sum till I moved to London. I think it’s something that is is quite London-centric, well… certainly couldn’t get it in Swansea when I was growing up. 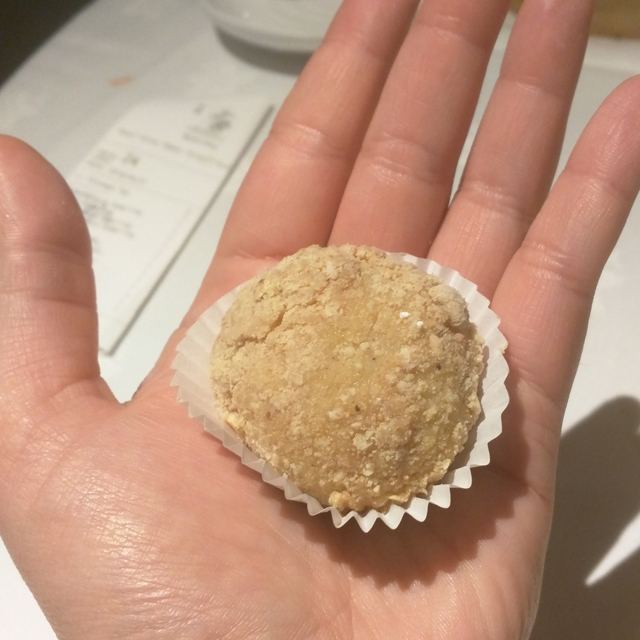 So really basically, they are small Chinese dumplings that are steamed or fried (basically Chinese tapas) – and are bloody stunning! Honestly, we wanted to order everything on the menu (well, apart from chicken’s feet! ), and pretty much did. I can’t describe just how excited Kate and I were. We ordered so much, we had to write down what we wanted to order (including three desserts!). 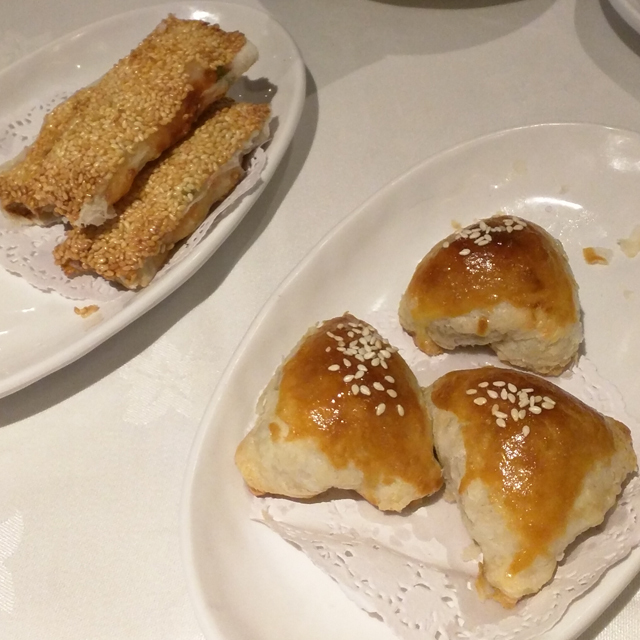 Each plate of Dim Sum cost around a fiver, and considering the quality, it’s really good value – because that’s exactly what you’ll pay in China Town, but it’s not nearly as good. We ordered a load of food which came to about £70, but you would need to order half (not even that really). You could would be stuffed, with amazing food for about £15-£20 per person – you’d honestly be mad to go to China Town instead of going here. A bit off topic, but when did everyone start using chopsticks? Ok, how come everyone seems to know how to use chopsticks these days? I seriously struggle with them, because I only started using them since moving to London (and most of the time I just ask for a fork!). When did you start using using them? As a kid? It’s a mystery to me. The entrance (closest station is Baker Street). 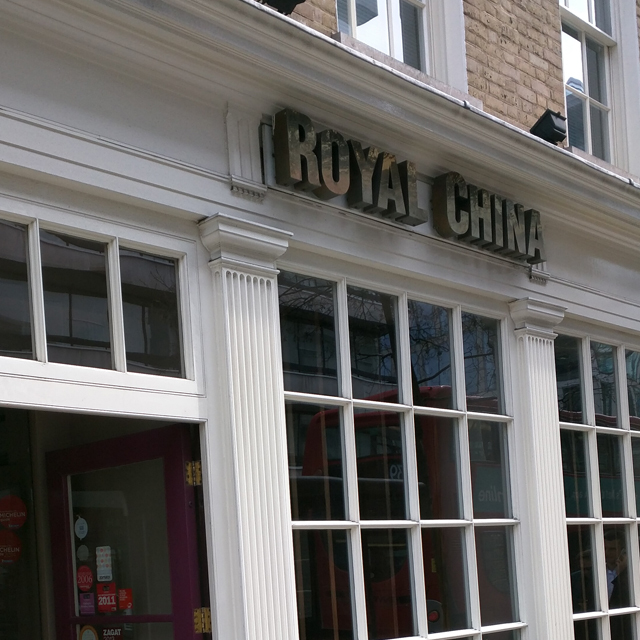 Be warned, there’s another (posher) Royal China just down the road from the same company. I wandered in there and managed to make myself look stupid (as usual!). 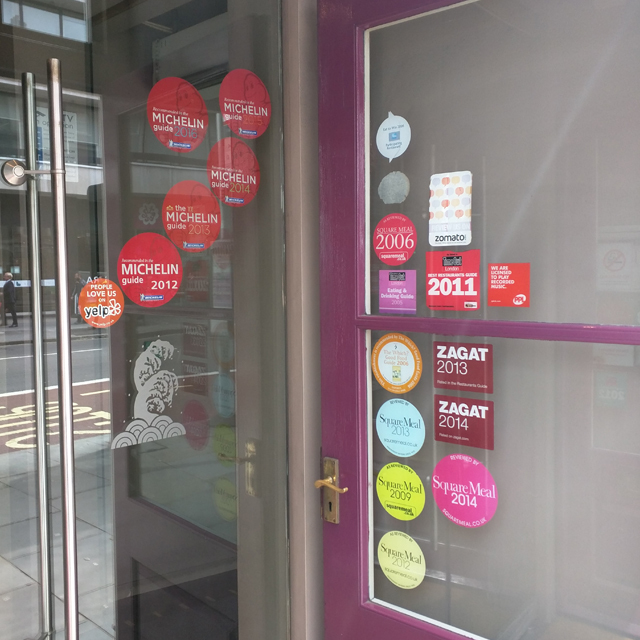 Check out the awards on this door! When it’s 90% stickers, you know you’re eating in a good place. Look how pretty the restaurant is (I’d say swag, but people keep telling me off for using that word). My camera really isn’t doing the wall justice as you can’t see the flecks of gold. I don’t know why I look horrified, but honestly, at this point – I was the most excited I have been in a long time. 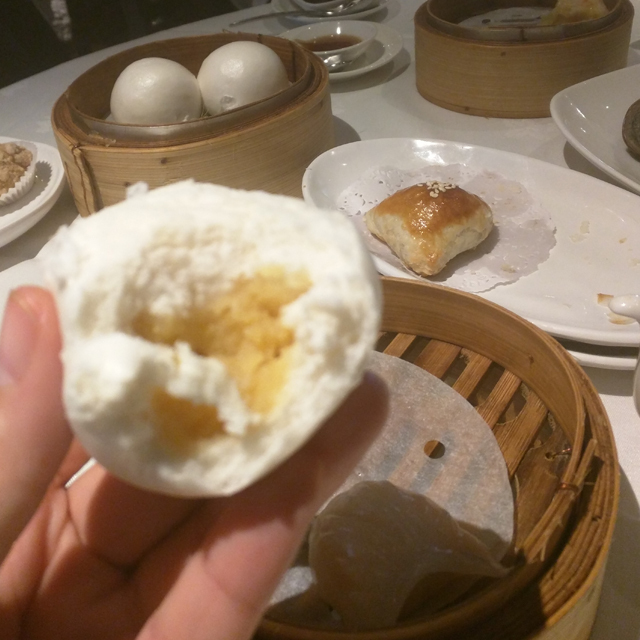 There is nothing I love more than dim sum, and the menu was incredible. 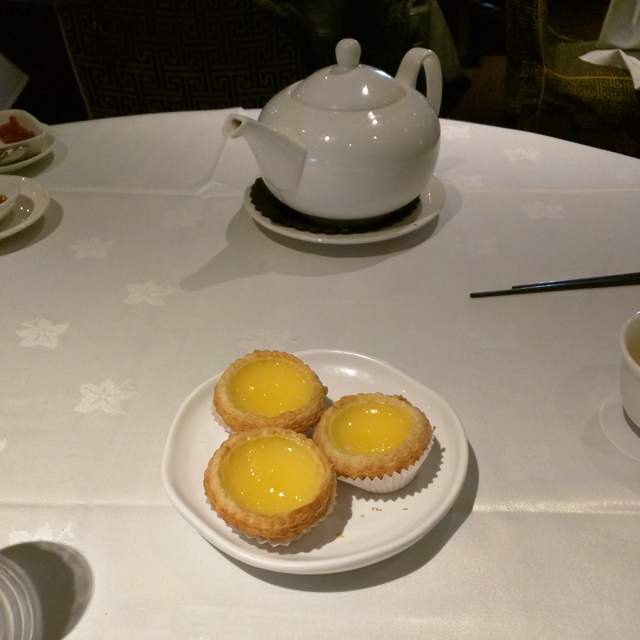 Kate (dim sum expert) was living the dream! 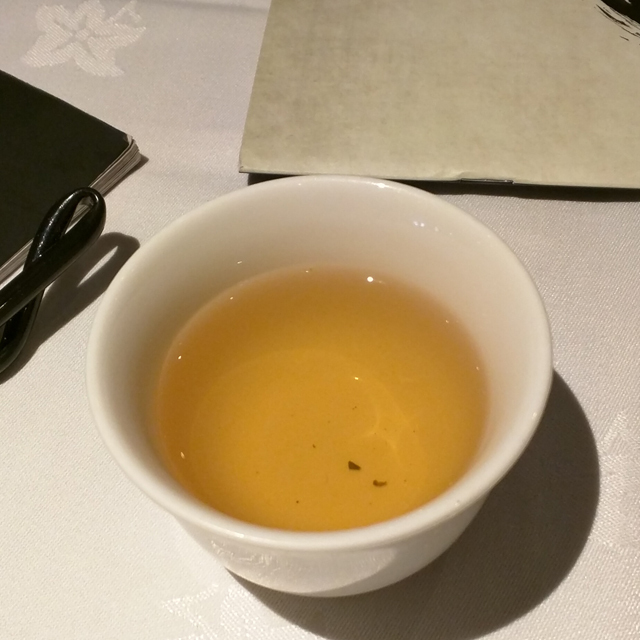 Ok, now I don’t drink tea (hot drinks in general), but this jasmine tea was so lovely. The first things that come out were warm egg custards (starting with a bit of dessert, why yes please!). A bite shot for you. AHHHH look at that custard! Just look at that pork. It was AMAZING. In the background there are BBQ pork (char siu) in pasty. Are you hungry yet?! Lets talk about those prawny, sesame rolls of GORGEOUSNESS! They are THE best things I have ever put in my mouth. Do you like huge prawns? Do you like flakey pastry? You’ll love these. 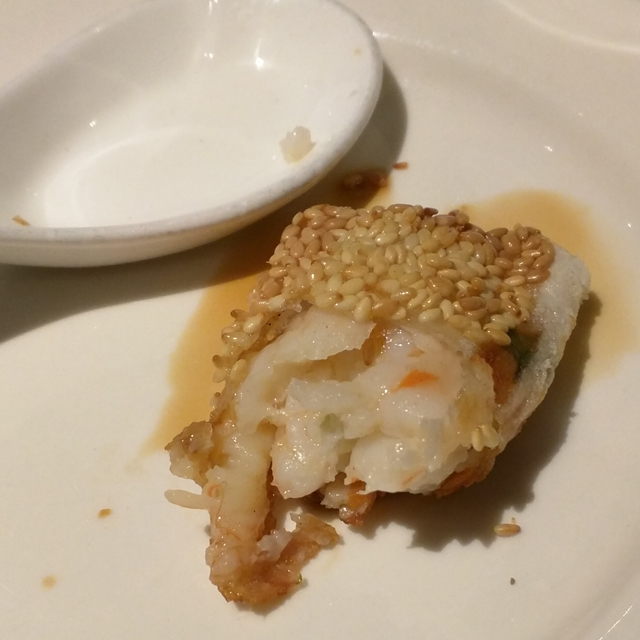 Took a picture after I had taken a bite so you could see just how much prawn is packed into it (although, I suppose it doesn’t look too appealing). The thought was there though. Again, more dim sum packed full of big prawns. 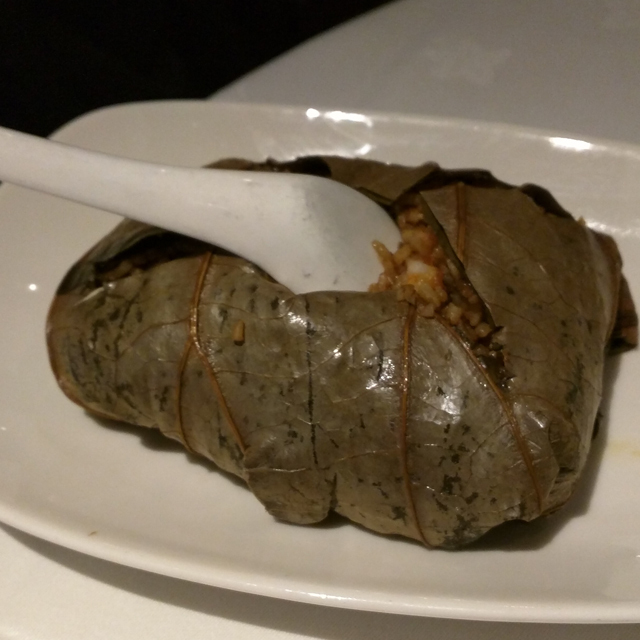 So this is prawn and duck rice cooked in a lotus leaf. Honestly, this was the worst thing (though not saying it wasn’t good), just wasn’t as good as the rest of it. Writing about this is making me hungry again! 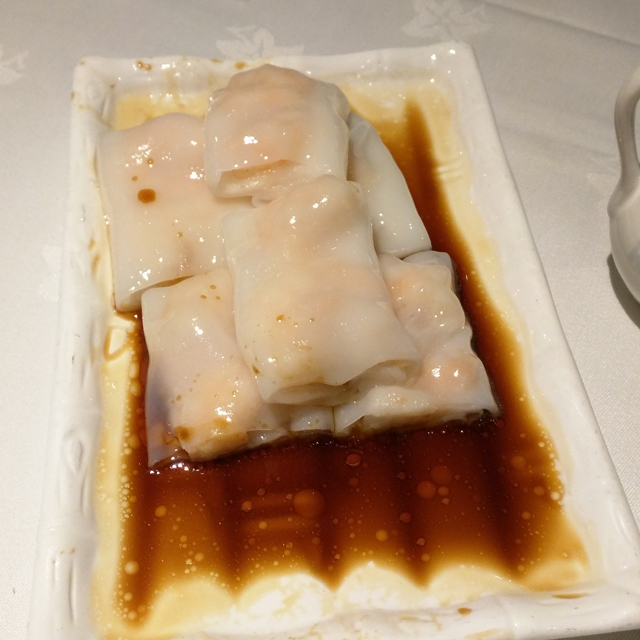 Ok, let me go through the dim sum here: 1) The ones closest to the bottom are pork, but filled with soup. You have to be really careful not to pierce these with your chopsticks and get scolding soup on you. They are amazing! 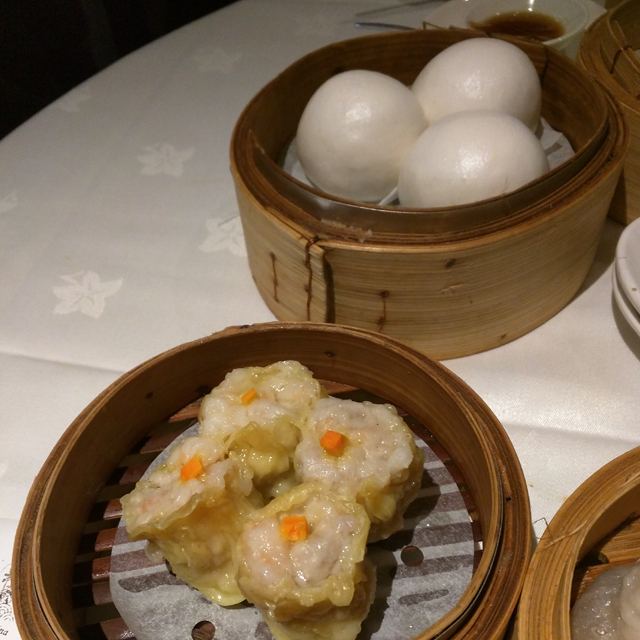 2) On the left with the little carrots on top – they are pork and prawn dim sum, which you can pretty much get in any Chinese place. These however have massive chunks of prawn in them, rather than them being mushed up. 10/10! 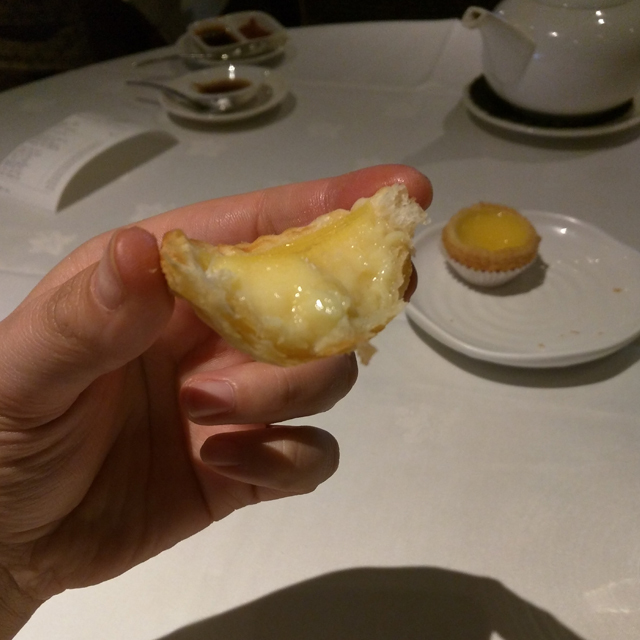 3) The pastry one, is filled with Chinese BBQ pork. Heaven! 4) The big white round balls are filled with a sweet custard! 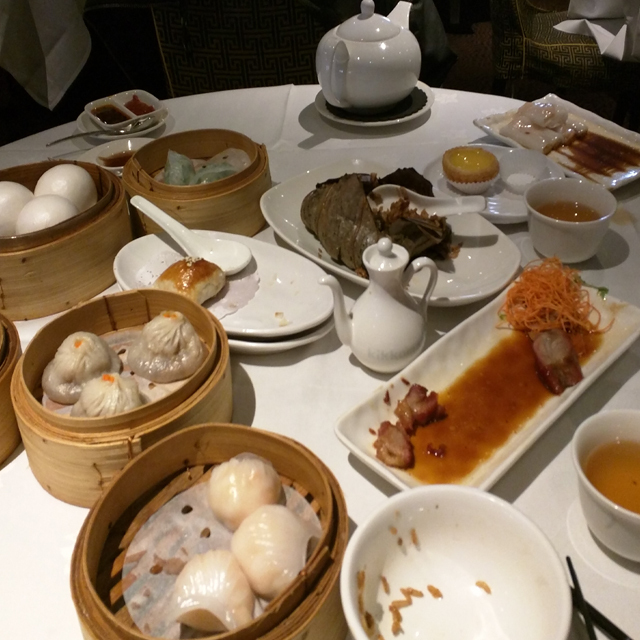 5) To the right of the custard buns are chicken and chive dim sum (Kate’s particular favourite) 6) And right at the back, dim sum with a whole prawn in them. Action shot of me biting into the custard bun! Now this bad boy is a beauty (until you bite into it as you’ll see in the picture below). 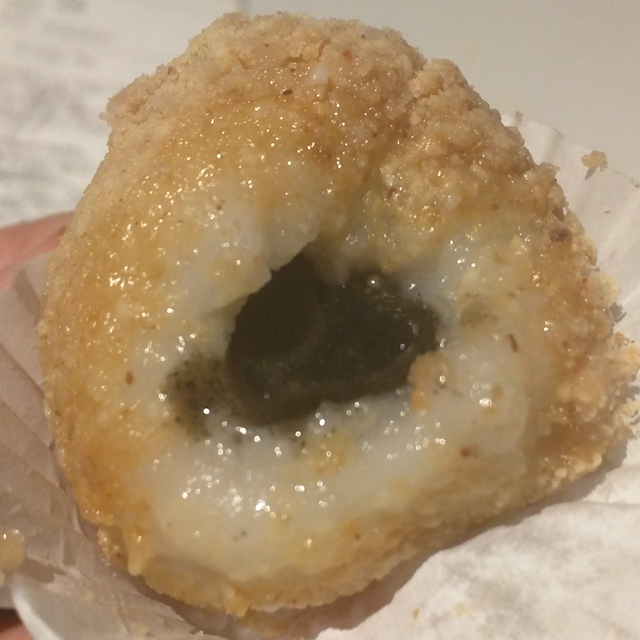 Its mochi (which is a bit like a jelly/chewy ball, filled with a poppy seed (I think!) syrup and rolled in peanuts. If you like peanut butter, you’re going to love this. Ok Ok, it looks like a nightmare, but its warm and lovely. Trust me. 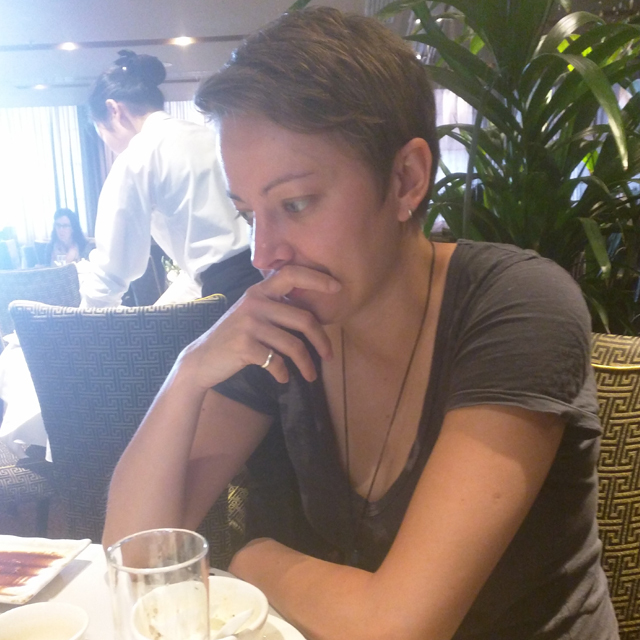 Kate – a broken woman, filled to the brim with Dim Sum, considering if she can eat more. 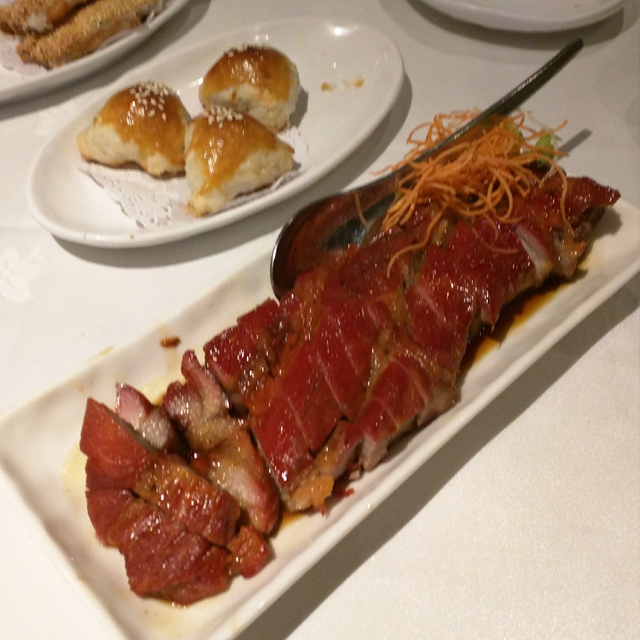 If you’re ever in London, trust me, visit Royal China (there are a few dotted around), you wont regret it! Liked this? What about these freebies?